On 10/27/17 Captain Paul Ivens (Ret. 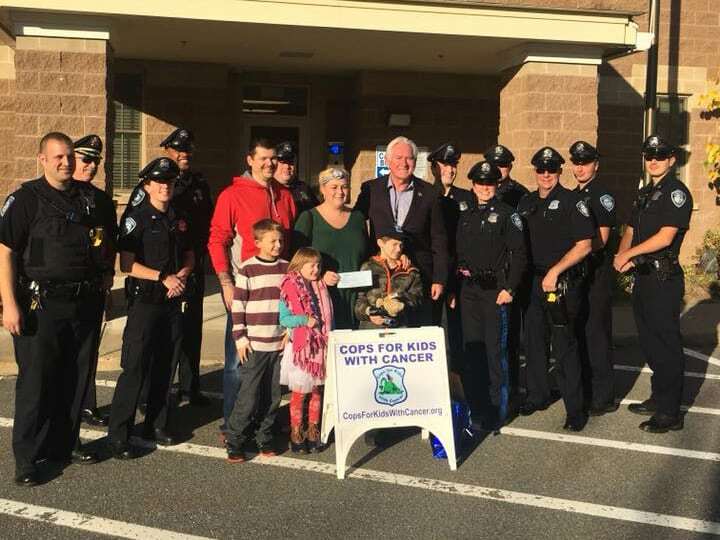 BPD) of CFKWC, made a donation to Brandon Contoni age 7 yrs. and his family, at the Lunenburg Police Department. We would like to thank Chief James Marino and all the Police Officers, who made this such a special day for the Contoni family.